Two new players will be inducted into the Poker Hall of Fame Nov. 9, as part of the World Series of Poker main event’s final table kickoff. The new inductees are Dewey Tomko and Henry Orenstein. Most poker fans know who Tomko is. He’s a three-time World Series of Poker bracelet winner, a two-time main event runner-up, and has played in more consecutive WSOP main events than anyone else (35). His real first name is Duane, by the way. 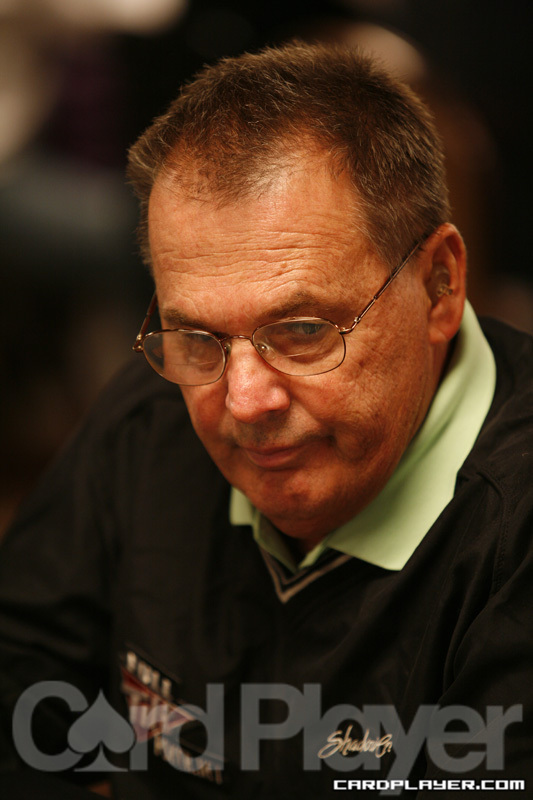 Orenstein also has had some poker success (he holds a WSOP bracelet for a seven-card stud event from 1996) and he played in some of the biggest cash games in his day, but the 80-something Holocaust survivor has as much to do with the popularity of poker as any of the players. Orenstein holds the patent for the holecard cam, which changed the game of poker completely. Without it, TV poker would not be as compelling, and the poker boom wouldn’t have been nearly as big as it was. He also owns Poker PROductions, which produces some ofthe best-known poker shows out there, including the NBC Heads-Up Championship and High Stakes Poker. The main event final table takes place at the Penn and Teller Theater at the Rio Nov. 9. The finalalists play down to two players, who then play down to one on Nov. 10. The table will be broadcast on ESPN Tuesday, Nov. 11. The Poker Hall of Fame was bought by Harrah’s when it purchased the WSOP in 2004. There are 37 members, including Tomko and Orenstein, and 16 of those members are still living and playing. Bout time...wtg Dewey!!! Every TV watcher has their fav and without a doubt mine is Dewey Tomko!! Just ask anyone who knows me. LOL. A gentleman on and off the felt. In 2007, i nearly introduced myself at the $5k mixed (see Steve Billirakis) to Mr. Tomko but he was talking on break to Devilfish and...NUFF SAID. Congrats Mr. Tomko!